The Chamber Music Society of Detroit is celebrating its 75th anniversary this season by expanding its programming to make its acclaimed concerts more easily accessible to the entire region. CMSD had already been staging some concerts at Oakland University’s Varner Recital Hall, but this year, it has added performances at The War Memorial in Grosse Pointe Farms and Village Theater at Cherry Hill in Canton. 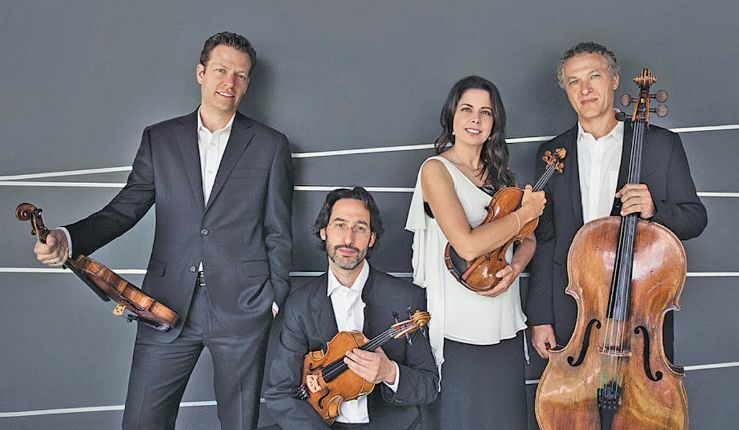 The Pacifica Quartet will be performing selections from Beethoven, Bartók and Mendelssohn at 7:30 p.m. Sept. 27 at The War Memorial, 7:30 p.m. Sept. 28 at Village Theater and 3 p.m. Sept. 30 at Varner Hall. All three of those venues will host other concerts throughout the season, along with the CMSD’s core series at the Seligman Performing Arts Center in Beverly Hills. With 25 concerts in eight venues, this is CMSD’s biggest season ever. The War Memorial has hosted many concerts over the years, but War Memorial officials say teaming with the CMSD is special.